The Old Rectory at St Ervan boasts seven bedrooms and sits in three acres of sheltered gardens and meadows. In north Cornwall, the little-known hamlet of St Ervan sits at the end of a no-through lane, a few minutes’ drive from the spectacular coastline and the Camel estuary, with its many sandy beaches linked by exhilarating coastal walks. The sparsely populated countryside around St Ervan is also hauntingly beautiful, with a variety of distant sea views visible from the footpaths that criss-cross the area and the downs beyond. 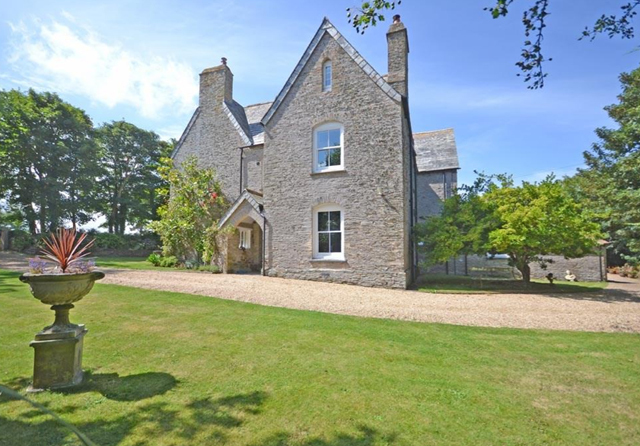 Cornish agents Lillicrap Chilcott (01872 273473) want offers around £2.5 million for The Old Rectory at St Ervan, a tranquil, Grade II-listed, Victorian country house set in three acres of sheltered gardens and meadow, yet a mere 10 minutes’ drive from trendy, gastronomic Padstow, Trevose Golf and Country Club and Porthcothan and Treyarnon bays. Built in about 1853, the pretty stone former rectory has been the subject of a roof- to-ground-floor renovation during a four-year period from 2007 and now boasts 7,477sq ft of living space—an intriguing mix of Victorian and contemporary design—with accommodation on three floors, including five reception rooms, seven bedrooms, eight bathrooms, a cinema, a gymnasium and a steam room. The guide price is £2.5m For further information please contact Lillicrap Chilcott on 01872 273 473.